Florida Governor Rick Scott invests more than $11 million in six Northwest Florida projects from the Florida Job Growth Grant Fund. The Fund was established by Governor Scott and the Florida Legislature last year to enhance economic development across the state. Funds will be used for public infrastructure improvements and workforce training programs. 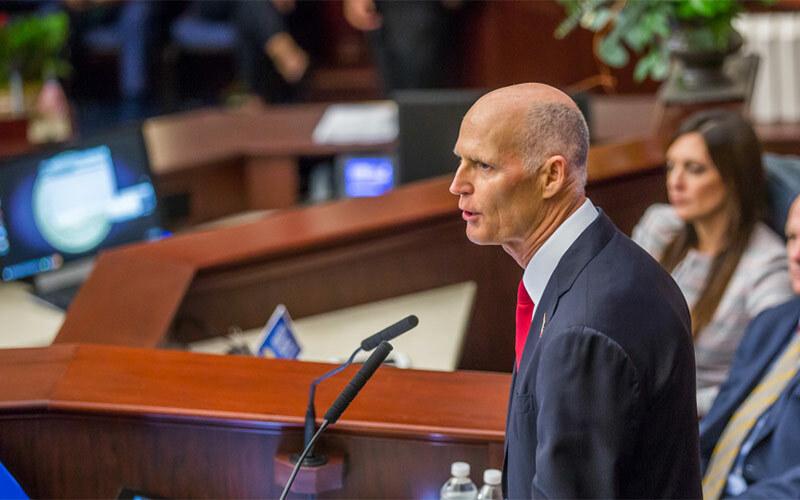 Governor Scott receives recommendations from Enterprise Florida and the Department of Economic Opportunity but has full discretion over awarding the funds. A total of $57 million from the initial legislative appropriation of $85 million has been awarded. This past legislative session, state leaders have made another $85 million available for the Florida Job Growth Grant Fund. Moreover, an additional $300 million will be invested in economic development in Northwest Florida from Triumph Gulf Coast. Your clients can benefit from our significant growth and take advantage of these opportunities. Contact Florida’s Great Northwest at (850) 729-6848 for assistance. For more information about the Florida Job Growth Grant Fund, visit www.FloridaJobs.org/JobGrowth. For questions or project assistance in Northwest Florida, contact Florida’s Great Northwest at (850) 729-6848. Interested in learning about what's hot in Northwest Florida? Register for Northwest Florida Focus, our monthly e-newsletter providing information on recent announcements, regional news and highlighting available buildings and sites for your business. See our most recent issue featuring MAG Aerospace, our Northwest Florida manufacturing and aerospace workforce, and a SPEC building in Santa Rosa County. Register now. Florida’s Great Northwest, the regional economic development organization for the Florida Panhandle, announced today the launch of its new website: www.FloridasGreatNorthwest.com. Featuring content that highlights the region’s business advantages and key assets, the website will help build awareness and generate opportunities for business growth in Northwest Florida. Last week, nearly 100 leaders from across Northwest Florida came together to mark the progress made on the Northwest Florida FORWARD strategic initiative which was launched one year ago. Today, four leading Florida regional economic development organizations announced the creation of the North Florida Manufacturing and Logistics Corridor to augment their regional efforts promoting corporate growth across 34 counties, from Pensacola to Jacksonville. The Deepwater Horizon oil spill devastated beach communities. A new law will allow panhandle leaders to access the first in a series of BP settlement payments designed to ensure economic growth in the region.